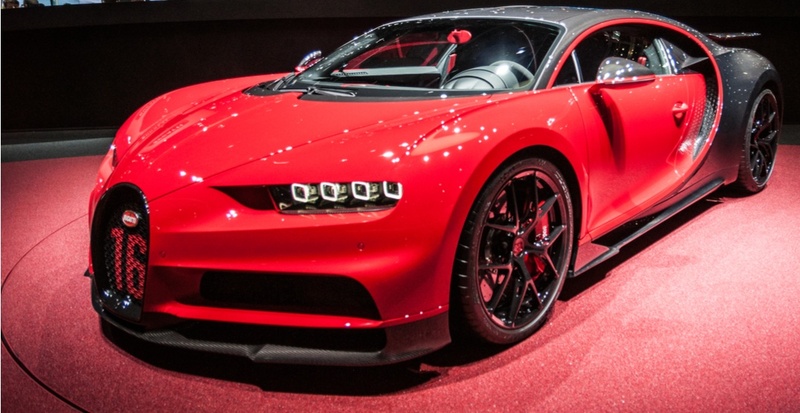 The son of a Chinese business tycoon recently took to Instagram to share news that he had purchased a $5.1 million supercar – a Bugatti Chiron – from a Vancouver-area auto dealer. And while many might use the platform to share picture after picture of their sweet new ride, Ding Chen had a different reason for sharing the news – to complain about the taxes. 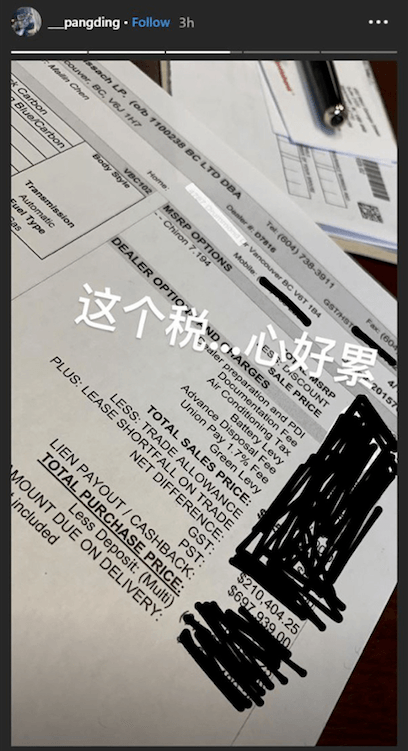 According to the South China Morning Post (SCMP) Chen shared an Insta-story of the total bill for his new ride, reportedly paid for by using the credit card of his father, Chen Mailin. Chen Mailin’s address can also be seen on the bill – a mansion in Vancouver’s Point Grey neighbourhood, on Drummond Drive, which he bought in 2015, for $51.8 million. The SCMP noted a corporate disclosure shows he is a permanent Canadian resident. Ding Chen’s photo of the bill also included his own thoughts on the taxes, which he wrote in Chinese over the picture. “These taxes … my heart feels tired,” he wrote. Two years ago, the BC government doubled the provincial sales tax paid on luxury cars worth more than $150,000 from 10% to 20%. The PST was also increased from 10% to 15% for cars worth between $125,000 and $149,999.